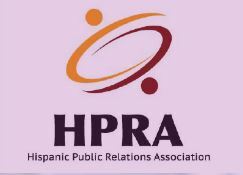 The Adam R Jacobson Editorial Services and Research Consultancy has been contacted for expert analysis and commentary on Hispanic media and the U.S. radio industry by a host of international news organizations. Most recently, Adam was featured in a report on telenovelas airing on Agence France-Press TV and on VOA TV to a global English- and French-speaking audience. To view the report as broadcast on VOA TV, click here. Other recent media appearances include the Miami Herald, Fast Company magazine, and the Los Angeles Times. Adam R Jacobson has worked with such companies as Adelante Media Group, Mintel, The Arbitron Company, and LatinBusinessToday.com. Other recent clients include Featherheart Designs by Dannielle, Latin Trade magazine, The Leukemia & Lymphoma Society—Southern Florida chapter, and Padma Media & Marketing. Adam Jacobson is a former editor and reporter at Hispanic Market Weekly, LatinaStyle Magazine and Hispanic Magazine. His work has appeared in Vista magazine and in Latin Trade magazine. To learn how Adam can create news stories like this for your publication, contact us at adam@adamrjacobson.com. Latin America represents one of the hottest growth opportunities for airlines, as competition makes mergers and alliances the new name of the game. To learn how Adam can create news stories like this for your publication, contact us at adam@adamrjacobson.com. WMIB-FM 103.5, which has offered a mix of hip-hop and Urban Contemporary music to South Florida as “The Beat” since January 2003, has become Miami’s seventh commercially licensed FM signal to switch Spanish-language programming. At noon on May 14, WMIB became “Super X,” featuring a blend of adult-targeted ballads and Tropical records. The clear target for ratings and revenue is Univision Radio’s market-leading WAMR-FM “Amor 107.5,” which has been the dominant player for at-work listening and Latinas in the all-important 25-54 demographic. Super X, while billed by Clear Channel as a “hot Adult Contemporary” station, is actually closer to a gold-based Spanish Contemporary station. One “current” an hour is being played – a sharp contrast to Amor and Spanish Broadcasting System’s WRMA “Romance 106.7,” which airs a more uptempo and current-based Spanish Contemporary format than Amor. The 2PM hour on Super X featured songs from such artists as Selena, Juanes, Ricky Martin, Juan Luis Guerra, and Celia Cruz. Super X is also featuring one English-language gold track an hour, including Madonna’s “La Isla Bonita” and Lou Bega’s 1999 global No. 1 “Mambo No. 5. Super X joins WMGE-FM “Mega 94.9,” which Clear Channel launched in February 2005 as a Latin Urban station and has since transitioned to Spanish Hot Adult Contemporary. “The combination of these two stations offers a place without equal for Hispanic adults 18-54,” Olson said. Miami’s other full-signal Spanish-language FMs include Univision Radio’s WRTO-FM “La Kalle 98.3,” a Tropical/CHR hybrid; SBS’s WXDJ-FM “El Zol 95.7,” with Tropical and Latin Urban “reggaetón” music; and SBS’s WCMQ-FM “Clásica 92.3,” a unique Spanish Classic Hits station that also plays English-language Oldies. The noncommercial FM band includes two Spanish-language religious stations targeting Miami-Dade County. Meanwhile, an AM station is introducing a brand synonymous with “exitos” to South Florida on May 15. WSUA-AM “Caracol 1260,” which focuses more on spoken-word programming en español, will debut a one-hour “40 Principales” countdown show at 11am. It will air each Saturday and features the top hits as played across Latin America. 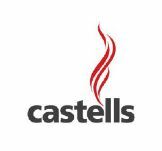 The 40 Principales brand originated in Spain, where a radio network of the same name rose to prominence in the years following the death of Francisco Franco and “La Movida.” In the last 10 years, parent company Grupo Prisa has successfully brought Los 40 to Latin America, where it has seen considerable success in Argentina, Colombia, Ecuador and Costa Rica, among other countries. In Mexico, it succeeded the “Vox” Top 40 network and can be found throughout the nation. Adam Jacobson is the former editor of HispanicSportsBusiness. To learn how Adam can create news stories like this for your publication, contact us at adam@adamrjacobson.com. Béisbol fans in Big D will now be able to listen to an entire season of Major League Baseball action in Spanish. Thanks to an agreement announced January 25, the Texas Rangers American League baseball club has teamed up with Spanish Béisbol Network (SBN) for a four-year deal that will bring all 162 regular-season games to Univision Radio’s Spanish-language talker KFLC-AM 1270 in Dallas. The widely expected move comes after SBN took over ad representation rights for the Spanish-language radio broadcasts of the Rangers in July 2009. KFLC has aired Rangers games en español since the 2003 season, when Eleno Ornelas was appointed as the appointed as the Texas Rangers’ coordinator of Spanish broadcasting. Ornelas has called Rangers games since the 2000 season and will continue to lead the play-by-play commentary for KLFC broadcasts. He will also continue to contribute to the Rangers’ Hispanic marketing and community initiatives. Ornelas’ partner in the broadcast booth is Gerardo”Jerry” Romo. Romo comes to SBN after having spent six seasons with the Arizona Diamondbacks, where he served as an executive producer, reporter and writer for a variety of D-backs programming. He was also the broadcaster for the club’s Spanish TV telecasts. SBN also handles the sales and on-air broadcast in Spanish of the Caribbean World Series. The inaugural SBN-produced Rangers game is set for April 2, and is a Spring Training match-up in Arlington, Texas against the Kansas City Royals.